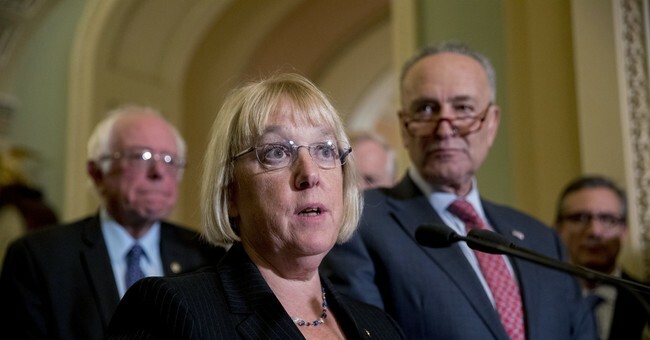 Sen. Patty Murray (D-WA) along with 35 of her Democratic colleagues in the Senate introduced a bill Thursday that would repeal the Trump Administration’s recent broadening of exemptions from the Obamacare contraceptive mandate for employers with religious and moral objections. “President Trump wants to make birth control about ideology, but let’s be clear: for women and their families in the 21st century, birth control is about being healthy and financially secure—and that’s why Democrats are going to keep fighting back against his shameful attacks on women with this bill and any other way we can,” Sen. Murray said of the legislation. Four Democrats plan to introduce similar legislation in the House. Both bills are unlikely to be brought to the floor by House and Senate Republicans. The Little Sisters of the Poor, who care for the elderly poor in the U.S., are finally beginning to see some relief along with other nonprofit religious organizations that had been involved in a five-year long lawsuit against the Obama administration over the contraceptive mandate. Paying for or supporting the use of contraception is contrary to fundamental Catholic moral teaching. The Obama administration offered the groups an accommodation that would delegate the contraception coverage to a third party, but they objected that the process still left them complicit in the coverage. Their case had been remanded to appeals courts with direction from the Supreme Court that the Obama administration and the organizations work out a compromise.